I have attempted to write this explanation – about the MTHFR gene – for more than a year now, often surrendering because it just gets so complicated (see diagram on right – and that is a simplified version)! However, almost daily now, I need to explain the testing and interventions that revolve around the MuthrF#$Ker gene, which produces an enzyme that can assist in the brain’s ability to process (among many other important body reactions) in patients with ASD. 1. Folate (natural), folic acid (synthetic), Folinic acid (active) and 5-methyl folate (active) are not exactly the same a form of Vitamin B9. • Reduced intake. Picky eaters and kids don’t usually savor green leafy vegetables or lentils. • Problems with internal state of health will affect availability. Synthetic folic acid must go through the liver, natural folate is metabolized through the intestines. • Antibodies that bind to, or block the active compound. This is why doctors check the Folate Receptor Antibody Test (FRAT). The presence of such inappropriate barriers implicates reduced activity, so administration of additional vitamin should help alleviate difficulties. • Any ‘weakness’ in the body’s inability to convert the vitamin – that includes the MTHFR gene that regulates the enzyme called methylene tetrahydrofolate reductase. 3. The most studied and concerning genetic variations are often designated as C677>T, A1298>C. Hieroglyphics aside, we inherit a ‘C‘ and an ‘A’ from each parent, and each deviation yields a less potent enzyme, so the implication is that giving the active forms of the vitamin can be beneficial. (Dr. Google, and many labs will report variations as pertains to the risk of hyperhomocysteinemia, a medical condition observed in approximately 5% of the general population, associated with an increased risk for many disorders.) For ASD, improved communication is the goal of treatment. 4. The supplements include L-methyl folate, available as a prescription under Deplin®. A web search of this product will often result in a call from parents, “My child doesn’t have schizophrenia or depression!” Marketing. Improved outlook is just one of the treatment outcomes. As noted previously, in ASD the aim is more efficient neural processing. 5. Another intervention is available as folinic acid (<1 mg dosages) and as the prescription, Leucovorin. An Internet inquiry may stimulate a call, such as, “My child doesn’t have cancer or get chemotherapy.” Different market. At a recent MedMaps.org conference, I asked two top researchers whether they prefer one or the other active form. Each doctor replied with the opposite answer. Availability and cost help determine choice, and sometimes we try both. The various forms of folate appear to be safe, effective interventions that can address weaknesses in the area of oral-motor functioning in individuals with ASD. In practice, agitation is the principle side effect, and too much ‘stimming’ or aggression is reason for discontinuance. 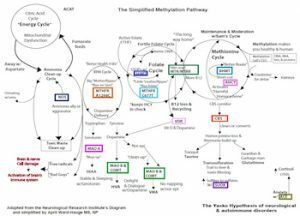 The gene controlling MTHFR production is important, but not the only one affecting multiple enzymatic pathways that lead to successful data processing. We are already discovering other critical genetic steps (SOD, COMT, etc.) and there are thousands of other genetic crossroads that will improve our understanding and lead to successful interventions. For our more advanced readers – please feel free to submit any corrections, etc. that you feel might be necessary. This story is a total rip-off. The New York Times recently featured a worthwhile piece entitled, A Doctor’s Guide to a Good Appointment. In that vein, I couldn’t help but add my two cents worth of advice about how to make the best of a family’s first visit to a developmental specialist. 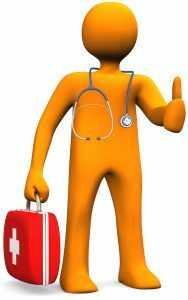 Finding a functional medicine specialist. The opinion of a pediatric neurologist is a good start. But, time is of the essence and evaluations that involve months of waiting serve the patient poorly, because they represent needless delay. A trusted pediatrician can be a great help. Therapists’ views are important because they are independent observers who know the child more intimately. However, if you still can’t put your finger on what’s wrong, and if you find that you have been going to a variety of specialists (e.g. GI, allergy, dermatologist. pulmonologist), maybe it is time to seek a modern medical viewpoint. When possible, ask other parents about their research and experience, but don’t forget that every child is unique, so this merely represents one piece of the puzzle. The most reliable web advice is to be found at the Medical Academy of Pediatric Special Needs clinician directory. Labs, X-rays, MRI’s, EEG’s, IEP’s, psychological reports, hospital records, and evaluations of all types are extremely helpful. It is understandable, however, that some parents may prefer a completely fresh, unbiased opinion, perhaps saving that data for a future visit. At The Child Development Center, we find videos extremely valuable. Taking the time to produce a written history with your specific concerns often yields the most satisfying consultation. It may be difficult to appreciate the anxiety that all family members experience in this situation, including the child. Another stranger. More tests. Overcoming fear may require social stories, bribery, a favorite food, electronic devices, or some other tested method. Either a picture, list, or a bag of the present medications and supplements, streamlines the visit. Plus, any archive of past meds – what worked and what didn’t – can similarly improve the efficiency of the interview. Perhaps it goes without saying, but be sure to bring along any familiar toys, blankets, etc., so that the doctor is able to observe the children and the parents can focus on the conversation. Whenever possible, a close family member or therapist will be a valuable addition to the team. An open discussion with the practitioner is imperative. Even the tension caused by a family’s disagreement about whether there really is a problem, is important in making an accurate assessment and creating a useful treatment plan. Perhaps this is the most difficult part. Who should you believe? Have any of the previous treatments been particularly successful? Has the child reached some plateau where he/she seems stuck? What are the alternatives? Listen to your heart. Having reached some degree of non-conventional intervention, there may be a desire to further micromanage. Can 2 functional medicine doctors perform better than one? Although parents who attempt this course may be correct, a mixture of protocols could delay improvement. Get started with one intervention at a time, and become comfortable that nothing is causing harm. Be clear about what skills you are targeting and document progress. Not infrequently, the treatment can involve periods of increased aggression or even regression, due to the ‘die-off’ of harmful organisms, food restriction, arduous therapy sessions, even new-found skills and sensory overload. Close contact with the practitioner (via email, phone, follow-up visits) is a must at this juncture, if the treatment plan is to be followed and successfully implemented. All of the points in the ‘real’ Times article are well-taken and valuable in this instance, as well. Hopefully, this advice will serve to make the experience of taking the next step in your child’s journey even more productive. Think about what is was like for ‘pioneer’ doctors at the beginning of the last century. I am certain that they were derided by the medical establishment, whose beliefs included ‘bleeding’ or electroshock therapy as treatment for every enigmatic condition. Hand washing, vaccinations and antibiotics – the science of 20th century medicine was being laid down. Germ theory and new technologies disturbed the status quo. Autism is a genetic condition. Such doctrine is simplistic at best. Humans are not fruit flies, mutating from one generation to the next. Genetics represents susceptibility and phenotypic expression is determined by the environment. Loaded Gun. Trigger. There really isn’t an Autism Epidemic. It just used to be called mental retardation. 1. Patients with ASD are usually average or above-normal intelligence, and often have skills that neurotypical kids lack (sense of direction, puzzles, memorization, e.g.). 2. The incidence of MR 30 years ago was 4 per thousand. Even if every child was misdiagnosed, it doesn’t explain why 2% of boys are now ‘on the spectrum’. 3. The increased numbers that have resulted from expansion of diagnostic criteria and improved recognition only represent a fraction of additional affected children. Biomedical interventions are useless at best, snake oil at worst. 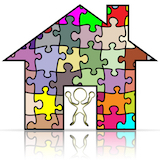 The medical treatment of autism is into its 6th decade of successful treatment for many patients. Dr. Jill James described a significant intracellular biomarker (reduced/oxidized glutathione) 15 years ago. A medical workup and safe, useful treatments have ensued. For pediatricians who claim, “I don’t know much about autism,” it’s time to open a book, or journal, or you-tube, or podcast. Only the traditional therapies are effective. This is a corollary to the previous erroneous statement. There’s no doubt that behavioral, speech, occupational and physical are effective treatments. However, how couldn’t it help professionals when they get to work on a healthier child, who is more likely to attend and cooperate? 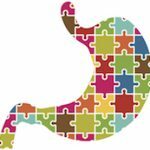 The Gut-Brain connection is not real science. The association was described more than 25 years ago by a prominent Columbia University researcher, and has been a mainstay in many subsequent journals. Doctors who tell patients, “Don’t go there,” are way past their prime. All vaccinations are safe for all people all of the time. That was the thinking as inoculation programs practically eradicated many childhood diseases in the 20th Century. But, Guillaine-Barre that complicated flu vaccinations, metabolic issues that preclude administration, seizures, allergy against ingredients, and toxicity of components can cause concern. For the next century, we need to see more non-industry funded, randomized, controlled and double blind studies that identify at-risk infants and toddlers. Children can’t really recover from ASD. We now know that the earlier the diagnosis, the more likely it is that they will outgrow diagnostic criteria. Our goal at The Child Development Center is return to the general education student population. ‘Normal’ is a relative term – what are each child’s weaknesses and strengths? Older people with autism can’t get better. With proper diagnosis and treatment, there are patients who achieve self control with fewer (or no) medications, develop increased communication skills, boost focus in order to learn new skills, and even manage social situations. Interventions are not false hope if they work. I frequently encounter parents whose pediatricians seem more concerned about their child’s current vaccination status than this mysterious, multifactorial, and sometimes debilitating developmental disorder. It’s about time they awaken to the first childhood epidemic of the new century. I’m not a big fan of posting patient testimonials. Miracle treatments are frequently reported as gospel. Plus, it’s pretty unlikely that any practitioner would advertise negative information about their own organization. Hi Doc! I think you would love to know we had the meeting to move him to regular class and he attended in person, answered the questions and explained his reasons to change his placement and was successfully assigned to his new schedule of classes beginning after the winter break. He also picked his electives.. I couldn’t believe my ears and eyes. I’m so thankful to your guidance as I don’t think you can imagine because you gave our family our child back and this is a priceless gift to a mom. May God bless you in all the ways possible as you honor Him in your practice. Alfie is doing great at school… and behavior is improving a lot. We are pushing for regular classes, since he has shown more abilities than the classmates… We had an appointment with the Developmental Pediatrician and he said that Alfie needs medication, which we are not going to do. No evidence of lead toxicity from Billy’s tendency to eat things [pica]… And, good iron level! Please share with Dr. Udell. How do you tell if a child is deficient in folic acid? Have you done this test in Genesis? Hi. I’m running low on glutathione. Is this one OK to order? Since starting 5 days ago, he is still requiring some prompting to communicate, but he is already starting to accept ‘no’ more… The therapist also noted that he is asking for things independently without prompts. So there is definitely progress being made. I can also tell his speech is continuing to improve… Thanks again for all of your wonderful guidance. It’s a true blessing to see Derek making strides after a rough patch! I have been giving Goldie the b-12 shots 3/ week for 3 weeks now and she is trying to talk more… Should we give something to help with focus? Jim has calmed down and the tics are gone in the last 2-3 days. Meltdowns have stopped completely… Still worried about repetition and comprehension… Focus not there. I’ve already noticed Bobby’s using longer sentences and more descriptive words since putting her on the probiotic/turmeric! The Low Dose Naltrexone has been amazing. The day before we tried it, I read an article in which a mother said that her child stopped his self-stimulatory behavior 3 hours after applying the first dose of LDN. We had the same experience. The only “stim” Manny really had was that he would put objects up to his eyes and look at them closely. We’re not sure whether it was an actual stim, or whether it is related to his exotropia. In any event, we rubbed the cream on Manny’s wrist, and literally the next morning (after 1 dose), he completely stopped bringing objects to his eyes and he has been so much calmer. Also, his exotropia has decreased what seems to be tenfold since beginning the LDN. All his therapies noted that his progress since the LDN had been through the roof. Thank you for prescribing this medication. It feels like a miracle medication. The Intuniv as you originally prescribed… has Haley completely stopped stimming, but also lethargic… We are going to proceed with your instructions to alter dosage and timing. Correct? This is regarding Jet’s progress on his new medication. I am glad to report that he is more focused, doesn’t stim, follows instructions and is more aware of his surrounding. This is really great… We are happy for the progress in calmness but torn with the emotional side effects. Is there something else we can try to still have him focused with less side effects? Wanted to mention that for the past 4 weeks, Harrison has been full-time in a Gen Ed classroom and has been successful. He has been placed in an advanced reading group as well and gets good grades. 珞 We are extremely happy and owe it to Dr Udell and his wonderful staff. Harry works very hard to please everyone as best he can although sometimes his anxiety gets in the way… Of course, some accommodations are made for him such as visual reminders but eventually, they plan on fading those out probably next year in second grade. He will still receive speech therapy in school as well as sensory breaks. I am looking for a new BCBA for the Summer… Thank you a million times! I still can’t believe this success. Also, his brother Lucas has improved dramatically in academics and sports! I’m usually writing to ask for help but I wanted to send you proof that things are in fact finally coming along again… This is Gary’s very first picture drawing people. When we first met with Dr. Uddell nearly 4 months ago, he asked Gary to draw a picture and it was so immature I nearly cried. He never wanted to draw a picture bc his fine motor skills were so far behind; but he showed this to me today from day 2 in VPK. He’s behaving wonderfully so far in a normal classroom with an ABA therapist by his side for reinforcement. His speech is noticeably improving, his fine motors are improving, and his temperament is so much more manageable. He’s a true gem. Thank you all for helping us get there. I brag on your office and staff regularly. Dr. Udell, for your record, I think I know some of what Gary’s body is detoxing. My levels came back high… I’m now working to reduce all of those for the whole house and I see a visible difference.. Your hard work and professionalism means a lot to us. Thanks for helping my son and our family!!! When I came to you, our little girl was just 15 months and we were both unaware of everything that was to come with her ASD diagnosis. I went to you for the hope that maybe it wasn’t ASD, but something else. You made me “aware” that allure behaviors and presentation was indeed ASD and gave me the tools and hope to keep fighting towards her progress and development. With that awareness came courage to accept her diagnosis but not her trajectory (as most conventional pediatricians would just tell me, nothing will help, this is incurable). You helped me roll up my sleeves and continue finding new ways to help her both biomedical and therapy-wise. She was “unaware” for about 1 year during which I saw much regression and not much forward progression, but tried everything you recommended. True awareness came one day when she cried for me not being home… then when I started a new job, she said she wanted mommy to be home with her and not at work… and shortly after she said, “I love you” for the first time and asked to whisper something in my ear. She is aware! She’s back with me in this world and not just in her own. We still have some gaps to bridge with her development and behaviors but being “aware” for both caregivers and child is half the battle. I applaud you for being an amazing and true advocate for autism awareness in more ways than one. We are blessed to have you in our lives! We are having a heck of a time trying to get Sara to drink her juice lately. She tastes everything. She has been off the intuniv for 3 days now and is manic!! Only sleeping 4 hours per night… no one has slept in about 4 days and she is disrupting the whole house. Stims have increased. She is happier and not tired that’s for sure. Anxiety is gone, too. She is talking A LOT… constantly like before but it’s more meaningful, not just scripting. Please let me know where to go from here. His sleep is far better than before! Rarely, does he wake up in the middle of the night after a bad dream! But he does fall asleep immediately.. on an average, he gets 9 hours of sleep daily! His speech is better than before.. he has more number of words… Understanding is also better now! I have also started LDN from the past two months! His mood and sleep is much better! increased Pat up to 1/2 tablet yesterday. We saw increased stimming and auditory sensitivity but these were the first school/behavioral therapy days that were NOT compromised by multiple tantrums in 6 months. Work actually got done. Personally, I can live with increased stimming and sensory overload if Pat can work happily without tantrums. Howard finished the 8 week course of diflucan. His ABA therapist and mom/dad have noted improvements in attention span, decreased episodes of tantrums, elimination of physical aggression. We are still having problems with verbal language. It seems to be the biggest hurdle of all… His capacity to follow directions has also improved… progress with potty training… Thank you for helping us. I have reduced glutathione, and have stopped the B12 for this week. Started him on fluconazole. I see a change in his speech. It is much better. And, more focus and eye contact, too. Poop – Lots of pictures of stools to greet me each morning! Rashes, as well. (it does not float) the poop stinks. He basically eats … Do you have any thoughts on this? face upper chest and upper back. Meryl has a bumpy red rash all over her arms and on top of her palms. The rash is continued under buttocks to below her knees. It almost looks like red goose bumps… At first I thought she may have eaten something she was allergic to… Will this rash diminish on its own? He also has this rash on the inside of his arm. Not sure if it could be linked to all this or not but i’ve never seen this on him before and he’s had this about a week. The motrin seems to make it go down a bit and it flares worse when the motrin wears off. I would like to know what kind of testing you do and if you and I are on the same wavelength as far as philosophy goes. I’ve been very disappointed thus far by the medical community in their knowledge, approach and desire to dig deeper than just a psychoevaluation. To date my daughter has never had a medical work up to ensure his symptoms are not being caused by something other than a DSM-9 code/label slapped on him by a pediatric neuro-psychologist. As you know it can be very costly to go from place to place so I would just like to know before scheduling if we are in the same stratosphere regarding approach. Thank you so much for taking the time to read this. I look forward to hearing from you. Rhianna and I really enjoyed the visit with Dr. Udell and everyone in the office – what an inspiring and empowering culture you foster! We look forward to working together with you going forward. Dr. Udell understands if you don’t want to do expensive lab tests so be sure to speak up or tell him you want to think about it… He is very easy to talk to. My son goes to him and we don’t do all the suggested lab work, we did it all a long time ago… Overall I don’t feel any pressure and I’m glad we have him to reach out to… His staff are all great too, any phone calls are followed up on. Sending you this email is not just gratifying but it is full of thanks and appreciation towards you and your team. In just about 3 weeks of our lab results and changing Raul’s diet thanks to the labs you requested , my wife and myself are deeply thankful towards you Dr. Udell , I don’t think this is just a coincidence but since we have changed his diet and casein free products i mean his improvements are seen through so many eyes that its not just us as parents. His grand parents , teachers , cousins have seen Raul as a smart fun kid to be around. Just a couple of nights ago he was playing TAG with his cousins. He went to a farm with his grand parents and other cousins , Raul usually wondered in open field , but not this time he stayed in the pack and did everything their cousins were doing , if they jumped he jumped, if they chased a chicken he chased the chicken i mean even the grandmother was so amazed on his development it was just so amazing, not once he wondered around to another places , he stayed where every one was. My wife picked Raul from day school the other day and she did hide so he would not see her ( Raul has impressive eyesight, that’s why we try to hide just to see how he plays, he can spot us just as we enter the day school even if he is yards out or doing something else) Raul that day was in the middle of playground with his classmates and talking with them (in his language but he was in the middle with all his classmates, something that did not happen quite often. His teachers are amazed that his is doing everything they ask… he enjoys music , sings , dances and now paints . I don’t know what to say but this is just 3 weeks that passed and its something just such a great feeling that even my wife which is the most negative of both of us is all SMILES and enjoying her son. Thank you with all my heart Dr. Udell , thank you so much, we would never know about this if it wasn’t for you and your team. I could tell you so much more that happened during this 3 weeks that it would take you so much time to read, but really THANK YOU! You changed my son’s life and our families’ life and we just hope this is not a fluke and that this will just get better and better. Thanks for putting a smile to my wife and to my son. THANK YOU THANK YOU.. words are just not enough to thanks you ! Have a great weekend Dr. Udell. My family send you all our love …. Of course, not all of our work results in the most positive of outcomes. There were many daily emails describing events that required additional interventions. However, by answering the calls and emails, and staying up-to-date with the science and the families, we continue to have an increasing number of children who experience improvement, if not complete resolution, of their childhood developmental challenges. and my wonderful, caring staff. In the face of the exploding incidence of childhood developmental abnormalities, scientific knowledge is sorely lacking. These are my top picks for this year’s most useful human research and events that address our understanding about the cause(s) and treatment(s) of these conditions. The Pesticide Action Network and the Natural Resources Defense Council filed a complaint against the EPA, led by Trump appointee Scott Pruitt, asking a federal court to make the agency follow through on an Obama-era recommendation to ban chlorpyrifos, a pesticide linked to brain damage in children. The Trump administration reversed that recommendation last week — even though the EPA concluded in November that the pesticide is associated with autism, lowered intelligence, developmental delays, and attention deficit disorders. The Child Development Center has been finding this treatment somewhat helpful for eye contact and socialization. Dr. Naviaux reported the use of a 100 year-old medicine for African Sleeping Sickness on a small group of ASD patients. His unified theory of central nervous system dysfunction involves the ‘Cell Danger Response’ – a proposed common pathway leading to autism. This could represent the most promising research of the year. The MRI test may assist in identifying autism risk in susceptible infants and younger siblings of affected children. However, accuracy was not optimal. Additional studies will be required to suggest whether it is worth risking exposure to anesthesia for testing. Some good publicity for Planet Autism. The Good Doctor, a TV show about an autistic professional appeared on ABC. Compared to Rain Man, it represents a quantum leap in the public perception of autism. 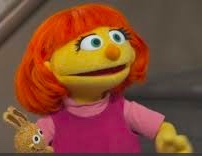 Also, Julia, a muppet with autism, joined the cast of the popular PBS children’s show ‘Sesame Street’. Plus, debuting this year was Netflix’ new comedy about an autistic teen, Atypical. Finally, you may want to check out these two offerings: Keep the Change, a love story which challenges popular misconceptions about ASD, and the more serious Deej – inclusion shouldn’t be a lottery. Folic acid is a vitamin given to pregnant mothers to prevent spina bifida. When taken in higher doses during the first trimester, “… associations between pesticide exposures and ASD were attenuated…” Should all younger women be taking vitamin B9, or could it be too much of a good thing? Accurate Autism Screening at the 18-Month Well-Child Visit Requires Different Strategies than at 24 Months. Comparison of Autism Screening in Younger and Older Toddlers. Accuracy of Modified Checklist for Autism in Toddlers (M-CHAT) in Detecting Autism and Other Developmental Disorders in Community Clinics. These three studies evaluated a popular screening tool for autism, and found that is more accurate in children at 24 months of age than at 18 months. Pediatricians and other specialists need a superior tool to test children younger than 20 months. At The Child Development Center, we have found that the Autism Evaluation Checklist, careful observation, and a detailed history will yield a more accurate diagnosis. By utilizing a specialized MRI technique researchers were able to discover, “ASD traits and inattention and indexes of white matter organization, particularly in the…” tissue that connects the two halves of our brain. This technology might also identify ‘Processing’ and ‘Executive functioning’ disorders. By combining MRI information plus behavioral assessments, scientists might be able to predict which children are only experiencing ‘benign’ speech delay. By offering these suggestions, there is recognition of the need for improved mouth care in children with sensory and oral-motor issues. It’s one of the most obvious places to reduce the body’s inflammatory load. Confirming the stool testing that functional medicine doctors utilize, “… data in this study support that children with ASD have altered metabolite profiles in feces when compared with neurotypical children and warrant further investigation of metabolites in larger cohorts.” Evidence-based medicine. Another year of more questions than answers. Why does it seem to be taking so much time for useful human studies to appear? Dollars for basic research depend on funding agencies’ understanding of this enigmatic condition. Plus, it takes more than a billion dollars to develop any new medication, so ASD is a very risky proposition. Then, there is the Bettleheim effect (he popularized the ‘refrigerator mom’ theory), the Wakefield effect (any new idea about autism becomes suspect), the vaccine effect (just talking about ASD leads to this controversy), and the continued debate about whether there even really IS an epidemic. I awoke one morning recently, to this shocking Facebook post: 77th Holistic Doctor Shot Dead In Her AZ Home With Her Entire Family. A small, boutique practice, such as The Child Development Center, should hardly appear on any corporate radar screen. We have taken care of thousands of patients, while pharmaceutical companies can reach multiple millions utilizing propaganda and government access. Planetary drug stores continue to fund and create new potentially harmful products. This grouping of functional physicians may just represent collateral damage. Large drug companies possess the power to spread cancer in our collective being, death is but one eventuality. Considering Pharma’s great scientific strides, and enormous profits, someone ought to slip a ‘Fund for Diabetes Prevention Program’ message into the corporate suggestion box (paid for with some of the dough that insulin generates), rather than knock off a few holistic practitioners. Any conspiracy talk is best minimized because the conversation usually devolves into a controversy regarding the childhood vaccination schedule. The Wakefield effect. More heat, less light. The story, presented in a somewhat sensational manner, has appeared in more alt-thinking venues, such as ascensionwithearth.com, thescienceofeating.com, and healthnutnews.com. So, the message may simply be ‘preaching to the choir’, or considered ‘kooky’ and overly dramatic. I sincerely hope that these deaths are not part of some conspiracy. If it’s true, multinational drug companies are only shooting themselves in the foot, getting negative publicity that isn’t worth the effort. Pharmaceutical manufacturers are already entrapping us in a variety of ways. So, I’m not getting a gun, or hiring a bodyguard. We’ve all got more substantial stuff to worry about, like getting kids with speech apraxia to talk. Were it not for a lack of knowledge or, frankly, interest on the part of most of the medical community, parents of children with autism would be happy to relinquish their quest for appropriate treatment. Too often, I listen to stories about pediatricians who have declared, “Well, I don’t know much about that ‘spectrum’ diagnosis. Let’s wait 3 to 6 months and see what develops.” Or neurologists who, after observing a patient for less than 5 minutes arrive at what they think is an accurate diagnosis, followed by little in the way of explanation, and even less effort to provide relief, other that a ticket to, “find a good therapist.” Then, there is the peanut gallery of mildly interested observers who implicate over-diagnosis and link the epidemic to anti-vaccination conspiracies. That being said, the families who are left to fend for themselves in this void must navigate a sea of dangerous waters in order to find safe, reliable and effective protocols for children affected with ASD. These are some of the issues that frequently arise for those warrior-parents. No matter how ‘benign’ the intervention, what works for one child might actually make another child worse. There are many different kinds of autism, including boys (aggressive) vs. girls, early vs. late (language regression), immune (rashes, constantly sick and antibiotics), gastrointestinal (reflux, bowel problems), and genetic variations. Furthermore, at any one point in time, speech apraxia, social isolation, sensory issues, or aggression might define a child’s autism. So, Dr. Google’s therapy du jour may not even apply to the present status of your offspring. Will Junior actually take a supplement that was suggested on the Internet? Compliance issues are a major challenge among our patients at The Child Development Center. Children are usually very picky eaters, sometimes refusing to chew, or preferring to smell everything, and not likely to ingest another yucky concoction. The ‘best’ fish oil won’t work if your child won’t take it, so a better tasting, less expensive, well-tolerated version may be the better choice. Costs can spiral out of control. Each affected child may take between 5 to 10 supplements/medications per day, often exceeding $300 per month. And, of course, it is not covered by health insurance. Can you really afford to give another remedy on the advice of a friend-of-a-friend-of-a-person-whose-kid-has-autism? Complicated, expensive therapies are compelling. Parents who seek experimental, untested, and/or potentially dangerous regimens are not foolish or ignorant, they are frustrated and desperate. For the most part, unless your family has unlimited resources, your money is better spent on proven, conventional behavioral interventions. Parents may not be aware whether item #2 on the list of supplements is actually amplifying item # 7, or nullifying. For example, notwithstanding manufacturers’ claims, digestive enzymes digest stuff. Probiotics, proteins, etc. work best when they reach their intended destination in the natural state, so some products must be given individually. Home therapies do not take the place of a thorough medical workup by an experienced practitioner who demonstrates reproducible results. Vitamin D, e.g., is great, but high doses could be harmful. The child’s blood count, liver, kidneys, thyroid, and other metabolic functioning should be documented and followed when a fragile toddler is the recipient of pharmaceuticals of any kind, with potentially serious effects. Rather than eschewing novel treatments, I am eager to become educated about patients’ reactions – positive and negative – so that my advice applies to each individual child, at a particular point in their recovery, targeted at the therapies that will take the patient to the next level toward independent function. I have learned useful techniques from naturopathic, holistic, Ayurvedic, and just plain Mom-medicine. Epsom salt baths, attention to nutrition, probiotics, essential oils, and the like, can be quite helpful. However if you are experiencing a 2 year-old who is not making eye contact, a 3 year-old who doesn’t speak, or a 4 year-old who is banging her head, sooner or later you will get the most tangible results from a practitioner who can accurately identify, and treat, such serious challenges. About regimens and treatments that some might say, “How can it hurt?” the most important lost resource may be time. 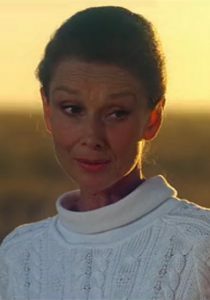 (Too) many years ago, our Regional Intensive Care Unit had the honor of hosting Audrey Hepburn. At that time, we were knee-deep in cocaine exposed babies, and the entourage stopped at the incubator of a 1 pound infant who was barely visible among the wires and tubes. Fast forward to a recent NYC fundraiser for Columbia Presbyterian’s Transplant Initiative. I complained to my beautiful and patient wife, Jackie, that autism doesn’t receive the same kind of attention as other medical condtions. Frankly, I was jealous. There is enough money for both, if we choose to spend it that way. There are presently ~117,000 people requiring an organ transplant of some type. There are over 5 million people with autism. In the past several years, I have attended, and been struck by, similar begrudging feelings at benefits for the Michael J Fox Foundation for Parkinson’s Disease. Sure, it’s important to give people a ‘second chance’ at life. But, have the children who are most affected with ASD, and their families, had any real first opportunity at normalcy? 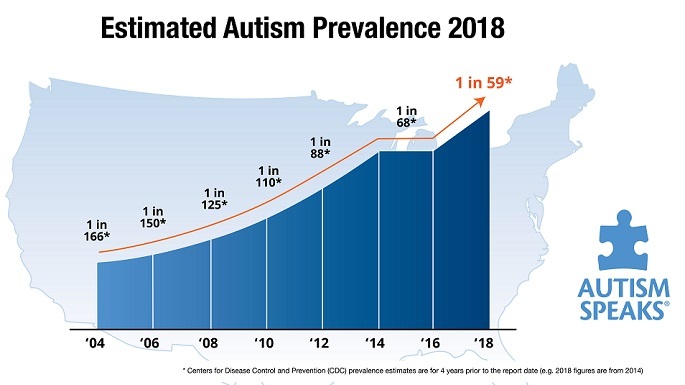 Look, I’m not trying to compare apples to oranges, but it seems that ASD should be appropriately considered as THE childhood epidemic of OUR time. A great deal more is needed by way of funding for useful investigations. I am honored to serve as a Board Member in our local Autism Society of America – Broward County, but research and medical issues are for other institutions. Increased collaboration among national organizations, including Autism Speaks, Generation Rescue, Talk About Curing Autism Now, Autism Research Institute, The National Autism Association, and local CARD groups, can only strengthen awareness and support. Autism is stuck in a century-old paradigm of psychological causation. Lately, parents are offered a genetic etiology that leaves them with little hope. Disparate theories and alternate interventions require evidence-based research. That includes adequate vaccine studies – among other ubiquitous toxins – to identify those infants at possible increased risk for untoward consequences. Acknowledgement of the successes that doctors, such as myself, are experiencing every day, needs to be appropriately studied and documented. It seems that more funding might be directed toward our work, were it not for all of the controversies surrounding an autism label. Unity among the various interested parties to support ‘N of One‘ treatments may help us attain that goal. That way, more toddlers would have access to earlier medical interventions, as well as conventional therapy. Columbia’s Transplant organization’s motto is “We don’t just practice medicine. We change it.” Practitioners who are at the forefront of effective autism diagnosis and treatment feel that way, as well. Undoubtedly, the most stressful challenge that any family might face is illness in their child. Even in cases where treatment is established, e.g. acute leukemia, there are bound to be differences of opinion about which doctor, or hospital will do the best job. When it comes to ASD however, even the diagnosis can remain in doubt. One parent, or a sibling, may have experienced “the same” symptoms, such as late speech or inattentiveness. So, the ‘watchful waiting’ advice from the pediatrician appears most prudent. A neurologist who observed your toddler for 70 seconds may have declared a normal – or dire – outcome. Who to believe? Then, there is the conventional medical community that continues to debate the condition and the ability of earlier recognition to alter the course. Take an online questionnaire, such as the Autism Treatment Evaluation Checklist or Modified Autism Checklist for Toddlers. Although ‘experts’ may deem such surveying as ineffective, it is certainly a start. And, parents shouldn’t bother quibbling over whether Junior should get a “1” or “2” for any single answer. Observing suspicious tendencies may help convince a spouse, or doctor, that there could be real reason for concern. Listen to the advice of grandma or grandpa. They have raised other children, even if it was a different century. Try not to listen to advisors who have no responsibility for their opinions. If a therapist is already involved, ask what signs and symptoms they view as worrisome. It’s not their labels that you seek, but another professional opinion regarding suspect behavior. Don’t be afraid to ask the child’s teacher, or the school personnel, what they think might be different about your child. Academic staff are frequently the first to postulate a problem. Take videos of unusual behaviors. One parent may simply not have gotten to spend enough time to have observed a ‘stim’, or recognize activity as repetitive. Have the child evaluated by a trained professional. Then, insist on a precise diagnosis. Children with sensory processing, executive functioning disorder, and speech apraxia have autism. So much inertia must be overcome to establish that first step, simply embracing traditional treatments can offer parents glimpses of improved development. OT (occupational therapy), PT (physical therapy), S&L (speech and language therapy), and ABA (behavioral therapies), must be given the time to reveal results. At the very least, however, ask your pediatrician to make sure to perform some basic laboratory testing. Even if there is disagreement, how could it hurt to obtain a complete blood count, evaluation of nutritional status (calcium, magnesium, vitamin D, iron), and thyroid screening? Although the pull of the Internet is great, children are best served by contacting a physician who is involved in The Medical Academy of Pediatric Special Needs. Unfortunately, there are too few to adequately staff the burgeoning number of affected children, but, we practice state-of-the-art, evidence-based medical intervention. By continuing our education within such a medical fellowship, and achieving a thorough knowledge of the science that appears in peer-reviewed journals, doctors have developed protocols that have been proven safe and effective. Although the costs are rarely adequately covered by medical insurance, the investment will last a lifetime. Literally. Denial and delay are not in your child’s best interests. Doctors who are satisfied with the status quo will achieve that end. Modern thinking is that earlier intervention results in improved outcomes. ♠ Could multivitamin use in pregnancy protect children from autism? ♦ The examiners mathematically re-analyzed decades-old Swedish registry information that strengthened the association with genetic factors. About the findings the lead author has admitted, “our results do not give any information about specific genes or other direct causes. It only informs us that genes are important…. our study cannot shed any light” on the reason for higher rates. ♣ This was published in Nature, entitled, Maternal gut bacteria promote neurodevelopmental abnormalities in mouse offspring. “The couple found that certain bacteria in the mother’s digestive tract can lead to having an autistic child. Furthermore, they found the exact brain location linked to autistic behaviors, which can be used to find a cure for autism.” Mice are not men. All of the information first appeared in reputable journals. The stories took a turn through leading health and science magazines, and finally popular media announced theories as if they were dogma. Often, autism research is subject to the ‘telephone game’, resulting in overstated and oversimplified claims masquerading as explanations for complicated medical concepts. Nevertheless, these investigations represent clues, directions to be pursued, possible new treatments and even prevention. It’s so confusing because they document only baby steps in this scientific puzzle. If autism is the result of a susceptible individual (genetic study) affected by an environmental stress (mouse study), then utilizing a metabolic intervention (third study) might make sense.